Tequila – a strong alcoholic drink produced by distillation from the flesh of the blue agave, which is a traditional plant of Mexico. Like any other alcohol, tequila requires some snacks that will emphasize the taste of the drink and give alcohol quickly cloud your judgment. If you are going to drink just a glass or two of tequila as an aperitif or digestif, eat this drink should coarse salt and a slice of a juicy lime. To do this, you must put some salt on your hand between thumb and index finger, lick it, then quickly take the shot of tequila and bite the lime. In bars is often practiced another way – salt is applied on the edges of the tequila shots, allowing you to drink alcohol immediately with salt. 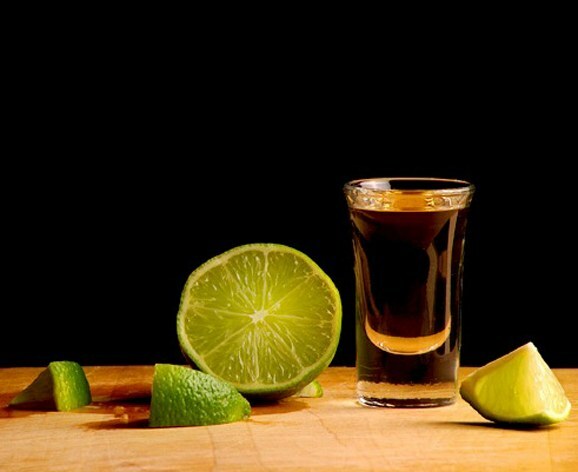 Today it is believed that the lime and salt is the best off the taste of tequila. It is not known who invented this snack drink in these products. According to one version, it was a publicity stunt producers of tequila, invented for marketing it in America and European countries. On the other – a snack invented Mexican doctors in 20 years of the last century, when during the epidemic of influenza, they are prescribed to patients of tequila with lime and salt instead of antibiotics. However, the Mexicans themselves don't practice drinking this liquor in such products. Since tequila is the national drink of Mexico, as snacks are best traditional dishes of this country. One of them, for example, is a burrito. To prepare it to bake in the oven or pan-fried thin wheat tortilla and wrap it in a thick stew mixture of beef, rice, tomatoes, refried beans and, of course, a large number of salsa and Mexican condiments based on chili peppers. As a filling for burritos, you can use any other products, for example, sour cream, garlic sauce, cheese and the flesh of the avocado. Perfectly with tequila and other Mexican dish – quesadillas. They represent folded in half and fried corn tortillas with potatoes, sweet corn, cheese or mushrooms. Serve them with salsa or should be, at worst, with spicy ketchup. Instead of salsa, you can prepare the guacamole. To do this, grind in a blender the flesh of the avocado, salt, lime juice, chili pepper and black pepper. From more simple, but no less hearty snacks to tequila, are best boiled or grilled shrimps served with garlic sauce. Or corn chips with salsa. As a snack is also suitable pita chips, seasoned with various spices. They can be cooked in the oven or in deep fat.